Product, bundles, meters, and revenue recognition rules. Bill for any combination of usage-based tangible and intangible items (hours, warranties, licenses, SAAS, copies, etc.). Bill quantity or change from last reported quantity. Bill for contracted quantity with different rates for overages. Easy to import quantities to update meters. Bundles are a collection of inventory items that are grouped together. Can include trials that have different prices and terms than the standard inventory offering. 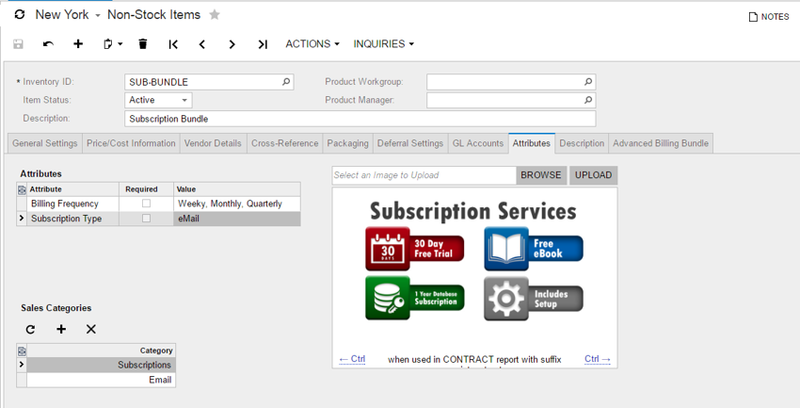 Bundles also can be set up to show the individual items or only a single line for the bundled item on invoices. Items can be priced by amount or percentage. Can include one-time items that will only appear on the first bill.